Jazzles Academy | Understanding why Jazzles arts integration program works so well for so many. About Jazzles ELA Why Jazzles ELA is so important for today's educational challenges. Introducing Lesley BethBlending teaching, composing and graphics skills to create a new learning paradigm. Created by Lesley Beth, Jazzles ELA is the world's only Arts Integrated program meeting UNESCO criteria. 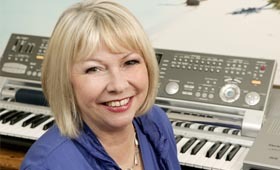 Using songs to teach reading, Lesley specializes in alliterative songs called 'ear-worms' - pieces of music that get stuck in your head so you hear it, even when not playing - an important memory booster, widely used for advertising jingles. Lesley is a recipient of honorable mentions by American Songwriter Magazine, LyricAwards.com and International Songwriting Competition. 1. It spans PreK, Kindergarten, Grade 1 and 2, ESL/EFL, Special Education as well as music and arts therapy for seniors. 2. It's applicability to such a wide and diverse audience is that it never uses any babyish concepts or dumbed-down language. 3. It's rich, multimedia features nearly 400 integrated, interactive, visual-auditory-kinesthetic resource files. 4. The program's pedagogy is supported by extensive, easy-to-follow lesson guides. 5. Unlike large publishers, it's a one price program that delivers everything you need - via the internet. It is difficult to select one, big, stand-out feature because the Jazzles system has so many! But at its heart, is a series or research-based 'ANIMATED READING SONGS' that achieve exceptional levels of engagement, close to 100% and deliver intuitive learning of all six big ideas of reading. Jazzles ELA is the only program you will find designed to overcome the literacy and learning readiness challenges of children entering our schools from widely differing socio-economic backgrounds. With poverty and ESL on the rise, you must share my concern that no scalable literacy program has been developed by any publisher to achieve high levels of engagement in mixed ability classes. Or that any publisher has crafted an engaging pedagogy to develop oral vocabulary, the essential precursor to reading and writing success, in tandem with social skills and vital learning confidence. Research predicts what we all know in practice. If children don't experience some 'beginning to read' success in their 'never to be repeated' first year, they are likely to lose confidence, fall behind and risk never catching up. Today, there's a whole industry making money by telling us what's wrong with our schools, our teachers, and our education system without actually contributing practical classrooms solutions. I've used my own resources and skills to develop Jazzles ELA, an extensive, integrated. well-rounded multimedia, ELA system. Internet delivered or network installed, Jazzles ELA is a VAK, learning styles 'big picture' methodology featuring a unique ANIMATED READING SONGS' resource that children love! And no! You don't need musical expertise! I do not have the resources of big publishers to promote Jazzles ELA. But I think you would agree that today, viral support is in many ways far more relevant. Remember, Jazzles ELA is a rarity. It is the product of a working teacher who, like you, wants children to have 'beginning school' success. So please be proactive. Share Jazzles ELA with all your Facebook and Twitter followers. Jazzles delivers so much joy and intuitive learning in times when so many families are hurting. 1 in 4 parents don't even know where the next meal is coming from, so their children are hurting too. But Jazzles gives them lots of joy, coming to school, knowing there is a happy Jazzles'created environment that they look forward to and learn as well! So please tell everyone you know about Jazzles ELA. I thank you in advance for your support. Jazzles ELA is practical - developed by Lesley Beth, an early childhood teacher with over 20 years of classroom experience teaching kindergarten and grade one students. Jazzles utilizes a multi-sensory approach, emphasizing visual, auditory and kinetic activities and is consistent with the latest brain research on learning. It takes the traditional activities of early childhood education and integrates them with 21st century literacy benchmarks and classroom technology advances - particularly interactive whiteboards. What it really does superbly is take these traditional early childhood classroom activities, and through its interactive program of music, movement, performance and creative games, enhances and reinforces the literary skills expected of kindergarten today. Most importantly, Jazzles corresponds clearly with any balanced, comprehensive and sequential reading curriculum. Its games and activities intuitively develop the essential elements of reading - phonemic awareness, phonics, fluency, comprehension and vocabulary development. For example, the Jazzles ELA program emphasizes nearly three quarters of the English language words included in most high fluency and sight word lists. 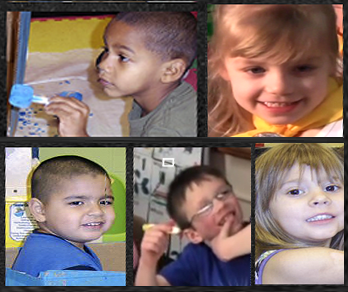 Jazzles is an individualized and differentiated learning program. The technology allows the students, whatever their reading ability, to access the program at their own level. The scaffolded learning allows students to advance at their own pace. Jazzles also works especially well for ELL and special needs students who react immediately to the positive reinforcement and feedback built into the program's strategy. As these special populations increase in percentage in our schools, Jazzles can be one pragmatic solution to help these students reach state and national literacy standards. Jazzles ELA is the only scalable Arts in Education program synchronized to literacy and early learning. As would be expected for an ELA program targeting PreKs to G1, the program focuses on the curriculum areas of literacy and language. However, through the Arts, it also develops vital non-cognitive skills including work ethic, teamwork, collaboration, oral communication, critical thinking, agreeableness, self-esteem, creativity and innovation. Having developed the program over a 10 year period, we've come to realize Arts in Education is perceived as quite a shift in curriculum methodology. So here is a little bit about why it is so important to overcome the challenges raised by diversity in our public school sySTEM2. One of our program's strengths is the role Arts in achieving truly exceptional levels of engagement - so simplifying mixed ability classroom management issues. Engagement should be a critical, if not the highest rated factor in selection of curriculum resources yet it rarely appears if ever as a selection criteria for curriculum resources. Class diversity is the single biggest challenge in our schools. Arts Integration is its silver bullet - because it can be used, as we do, to automatically engage every child's learning styles to differentiate instruction and slash ( really slash) disruption. IMPORTANTLY, we use the Arts to power the oft neglected area of vocabulary development - through drama and performance. Now you would think educators would get the role of the Arts in terms of its ability to engage poor kids, ESL kids, gifted kids, and the proven role of arts therapy for SPED including autistic children. That's what our program achieves! What Lesley Beth has done is to pioneer a unique methodology that systematically integrates the Arts to create exceptional levels of emotional and intellectual engagement to develop all 6 skills of literacy. It works. Achievement outcomes are way beyond the expectations of teachers and parents. Even oppostionally-defiant children melt to the charms of the animations and the catchy music. In an independent thesis, 38% of a kindergarten class ( 50% on free lunch) attained year end literacy in 12 weeks of the first trimester. Based on a UNESCO report ( Releasing the Power of the Arts), JazzlesELA is the only best case example of an arts integrated curriculum program. Unlike A+ schools, Appletree ( DC) etc. Jazzles ELA is highly scalable and affordable because it is entirely digitally delivered, uses primary teaching skills - not specialist skills and works on standard student-teacher ratios. "This morning the children had a wonderful time painting M melons and adding fingerprint seeds. We also role played along with the song and the kids are now asking for a repeat performance! Yes, we did use the balanced meal printable and we made a T chart of 'Mmm! Healthy Foods and Ugh! Not Healthy Foods! The children loved both activities." "I will out of town all next week, but I have a wonderful sub, who is a degreed teacher, she will present the T lessons. She has seen my children using Jazzles and is excited to be able to experience the fun and learning that goes with Jazzles!" "I do think that you are right to focus on Jazzles providing a real-time solution for mixed ability groups. I have a class of 21 students this year with no aide 'this is pretty typical'. Since I work for a public school, I have students that come in with lots of previous education from pre-schools and some that come with absolutely no exposure to education. This does make it more difficult to teach but your program seems to engage all students no matter what their ability level is at. Showing your program aligns with the Common Core State Standards is also very beneficial to you." Ten years in classrooms. Proven success in mixed ability classes. Supported by two independent theses and hundreds of teacher reviews. Arts Integration is a buzzword but few if any other than Jazzles ELA match UNESCO criteria. Extensive research has failed to find any other program that combines AiE, VAK and multimedia with the academic rigor of Jazzles ELA that meets/exceeds Common Core State Standards for Kindergarten ELA. Only $90 a month for a whole school. Under $20 for a class. Delivered digitally. PD requires only usual teaching skills, not specialist teaching skills.